Francois Truffaut is undoubtedly turning as I type this, but I think it applies. I'm not uploading a picture. I've seen enough vomit for one night. Sidenote: This film should be a call to reexamine our ratings system. The fact that most theaters will show this film and not X-rated/NC-17 films like Bad Lieutenant and Last Tango In Paris says a lot, and the fact that people took their kids to see this "R rated" fare says even more. 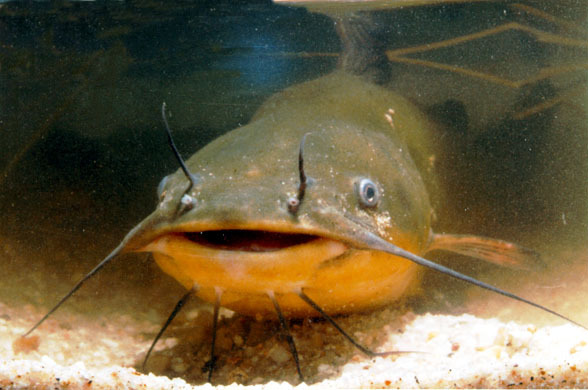 Catfish is a "documentary" that I'm more than tempted to examine, but it works better the less you know about it going in. So I'm just going to leave it at that. I was kind of shocked at the level of gore in Let Me In. It's not excessive as far as horror movies go, it just seems shocking to see in a movie about vampires, which I always associate with Bela Lugosi or Max Schrek (I admit I'm not familiar with Dracula films starring Christopher Lee or Klaus Kinski or even the Twilight films for that matter). Those classic films specialized in atmosphere and unseen terror. Let Me In generates the atmosphere, but when it turns gory I think it missteps. It is based on a very recent and revered Swedish film called "Let the Right One In", and both films tell the story of a bullied young boy who forms a bond with a young vampire girl (the words vampire or the like are never stated). The remake recreates the mood and tension of the first film while adding plot elements, which may be unnecessary (the exceptional Richard Jenkins is miscast). The child actors are great in their roles and in the end we are left with a satisfying, moody film whose pros outweigh its cons. The House of Steinbrenner opens with the last year's Yankee World Series victory and the documentary comes off at first as a Yankee love fest, likely to sicken most baseball fans. 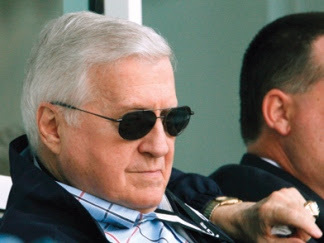 However, as the transition from the old Yankee Stadium to the new one and the change in management from George Steinbrenner to his children is explored, we get a sense of the history and current state of the undeniably great organization. George, who died earlier this year, appears in stock interviews and I was impressed by his honesty about himself and how he seemed to be a grounded person. Interviews with his son Hal, whom he passed the torch to and has received criticism, reveals a less fiery yet still disciplined nature. Through interviews with fans, players, and media we get a sense of what the team means to a city, and how important baseball is to all of us. Philip Seymour Hoffman is an actor who opens himself up on screen, leaving all of his good and bad qualities for the audience to bear. With his first film as a director his approach is somewhat similar as he takes a stage play and opens it up as much as he can, something that is often hard to do with the material. Here we have the story of two relationships, one just blossoming and the other withering, and we observe how all involve act towards their respective partners. Jack (Hoffman) and Clyde (John Ortiz) are limo drivers and best pals. Clyde is confidant and has been in a long term relationship with Lucy. He wants to see his socially awkward friend happy and decides to hook him up with Connie (Amy Ryan), one of Lucy's coworkers. After hitting it off on the first date, Jack wants things to be perfect for their next encounter so he begins taking cooking lessons. He also takes swimming lessons, so he can take Connie on a romantic boat ride when the weather improves. These sweet happenings are counteracted with Clyde and Lucy's relationship, which has been disintegrating after several instances of infidelity. Not all the ongoings in this film seem believable, but the actors bring credibility to their roles. Hoffman succeeds at playing another misfit, this time with hair braids who retreats into himself and his reggae music. Amy Adams, who became clear to viewers as the crack addled racist mother in Gone Baby Gone and then endeared herself to viewers of TV's The Office, again strikes the right notes as Connie, a damaged soul herself. There is warmth and tenderness in their courtship. By the time the movie was finished, I thought the film had misstepped in a few places, but I was really rooting for the characters, even if I didn't always buy some of their dialogue and actions. Jaws is recognized as many things: A study in tension, the movie that created the summer blockbuster, and the film that put Steven Spielberg on the map. Watching it at a 35th anniversary screening, I had forgotten how well realized the characters are, how humorous it was in places, and what a meticulously constructed and well made film it is. There is so much more going on in the film then just a small island vacation town dealing with a shark threatening their summer business. 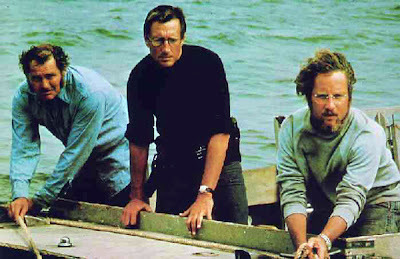 One of the things that caught my attention was the use of closeup and how great the actors were cast in the film: Roy Scheider as the weary yet assured Chief Brody.Richard Dreyfuss as the young and intelligent marine biologist who takes offense at the local's insults. And of course Robert Shaw as the hard boiled Irishman who takes the bounty on the Great White. Although the scenes involving the shark are masterful, the best scene comes during a moment in the cabin of The Orca, just after the three men bond and drunkenly sing, "Show Me The Way To Go Home." A tattoo inquiry leads Quint to recount his ordeal on the Indianapolis during World War II. His tale is able to generate as much terror as any of the scenes involving the shark, and is an example of how this is great moviemaking, not just a great suspense blockbuster.